Introduction- Why Is Jesus' Resurrection So Important? 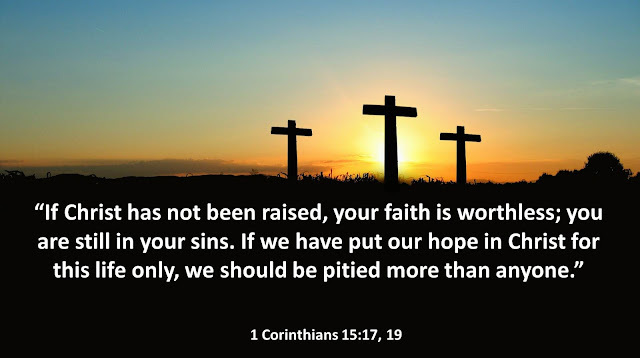 While finding answers to the finer points of the Christian worldview can be difficult, if Christ has been raised, then there are answers to every scientific, philosophical, and experiential challenge. Even if we may not know all those answers at any given point in time and even if the answers are different from what we envision or desire, if Christ has been raised, Christianity is true, and we can work out the finer scientific, philosophical, and experiential details later. So, it is important that all skeptics and Christians deal with and be made aware of the evidence for this essential historical event. In today's post my goal is not to be comprehensive with the evidence for the Resurrection but to give the skeptic some videos and other resources to begin seriously looking at this claim and to make the Christian aware of resources that they can have to "always be prepared to give a reason for the hope that they have" (1 Peter 3:15). 1. "Most of what passes for tolerance today is not tolerance at all but actually intellectual cowardice. Those who hide behind that word are often afraid of intelligent engagement and don't engage or even consider contrary opinions. It's easier to hurl an insult than to confront the idea and either refute it or be changed by it." 2. "Proponents of [this] cultural tolerance will point out that when you fail to endorse a person's beliefs and behavior, you are, in effect, rejecting the person. [For example], many claim that homosexuality is not merely a sexual act or a natural orientation; it is a state of being—an identity. Many assert that people are born gay, and when you condemn homosexuality, it's an affront to their personhood and a direct condemnation and discrimination against them as human beings." 3. "[Ironically], Some of the most vocal advocates for tolerance are completely intolerant of those who express their belief in a biblical morality, especially if they do so in the public arena." 4. "Cultural tolerance does not simply require that we give others the freedom to believe or live differently than we do. It has evolved into a demand that we accept, respect, and affirm the rightness of others' views and behavior--or be labeled intolerant, bigoted, and even hateful." A few years ago, Sean McDowell gave a talk at the AMP Conference called "The Beauty of Intolerance." In the talk, he spoke of two different views on tolerance that seem to be clashing in today's society. He explained how the differences explain much of the political rhetoric of "hate" and "phobias" and "intolerance." He focused specifically on the Church's speaking truth in love and how this view is actually the most tolerant. This talk has been one of my favorites for a while. 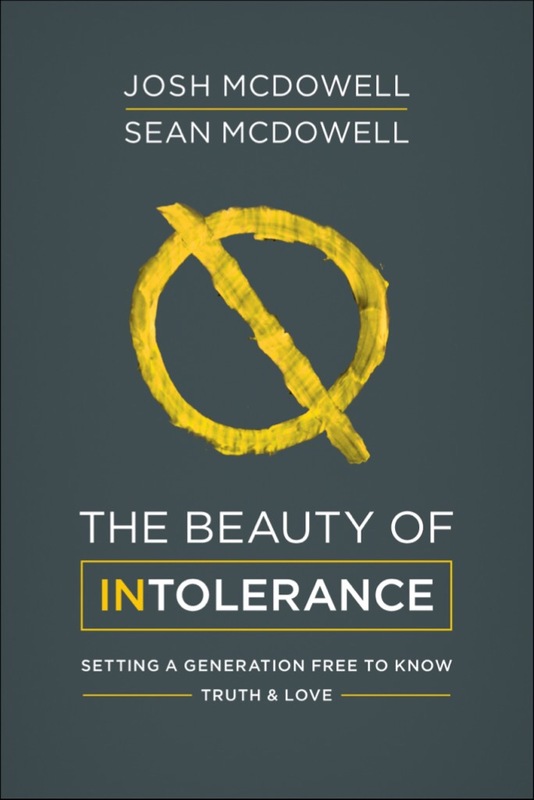 I discovered shortly after I first saw the talk that Sean and his father, Josh McDowell, coauthored a book, "The Beauty of Intolerance," that went into the topic much deeper and focused on how Christian parents can effectively communicate moral truth to a morally relativistic generation. As a parent and one who defends the objectivity of morality (and, thus, the existence of God), this book was one I dare not pass on reading, which turns out was an excellent decision. Now, before I get to my usual chapter-by-chapter summary review and the remainder of my thoughts, here is the talk by Dr. Sean McDowell that originally caught my attention.